Washington DC-Beijing, December 3, 2018 – China has agreed to “reduce and remove” tariffs below the 40 percent level that Beijing is currently charging on U.S.-made vehicles, U.S. President Donald Trump said, as a trade war truce between the two countries gathers pace, cheering markets. Tweeting on Sunday night, Trump said: “China has agreed to reduce and remove tariffs on cars coming into China from the U.S. Currently the tariff is 40%”. He gave no details. Chinese regulators did not respond to requests for comment on what would be a potential boon for automakers including Tesla Inc and BMW which manufacture in the United States for export to China.. Neither country had mentioned auto tariffs in their official read-outs of the Trump-Xi meeting. Speaking in Beijing, Chinese Foreign Ministry spokesman Geng Shuang reiterated comments from the government’s top diplomat State Councillor Wang Yi who said on Saturday the ultimate goal was the lifting of all tariffs. “The consensus reached by the leaders of our two countries is to halt the imposition of new tariffs and at the same time the two sides’ leaders instructed the economics teams of both sides to intensify talks toward the removal of all tariffs that have been imposed,” Geng told a daily news briefing. The benchmark Shanghai Composite index closed 2.6 percent higher at 2,654.80 points and the blue-chip CSI300 index jumped 2.8 percent. Both posted their best daily gains since Nov. 2. 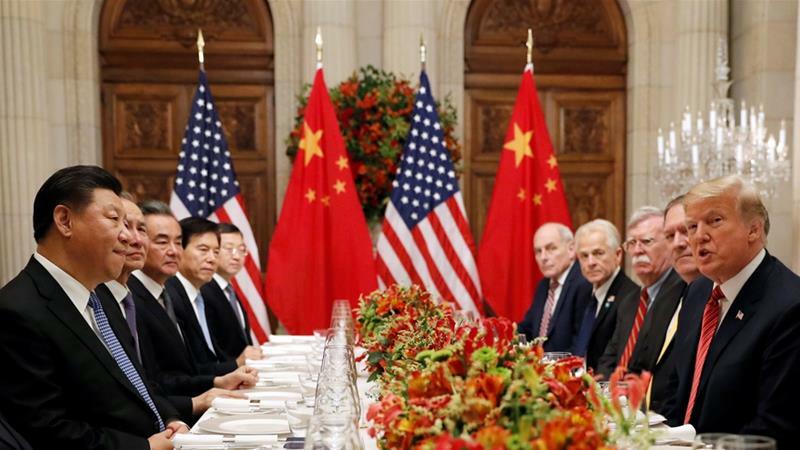 “The Chinese public needs to keep in mind that China-U.S. trade negotiations fluctuate. China’s reform and opening-up’s broad perspective recognizes that the rest of the world does things differently,” it said in a Monday editorial. A senior official at Chinese energy giant CNOOC told Reuters that China was not likely to increase energy and industrial product purchases from the United States by a significant amount in 90 days unless there are mandatory instructions from government forcing companies to buy.